This sweet boy is just over two years old. He is affectionate, playful and well behaved. He is currently intact and has fathered two litters. He makes beautiful babies. We do have him scheduled to be neutered in early June, but that can be cancelled if you'd prefer him intact. He weighs 12-13 pounds. Regrettably, we have too many animals already and want to keep one of the newest puppies. Our loss, your gain. 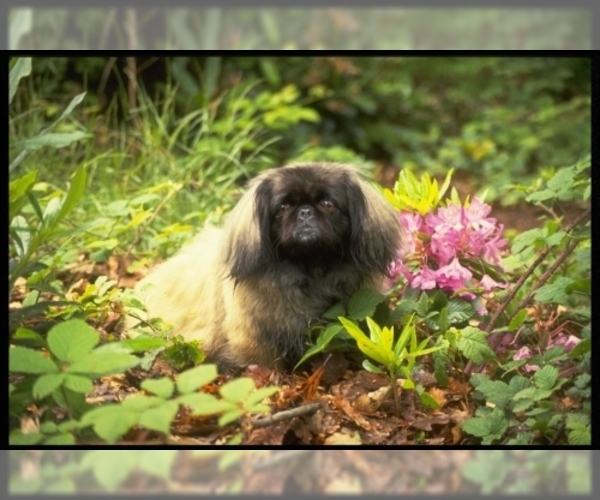 Overview: The Peke-A-Poo is a mix between a Pekingese and a Poodle. These dogs can have the temperament of either breed. Some are better than others in families with children. Coat: The coat is long and either wavy or curly. Character: Peke-A-Poos are smart, happy and brave. Temperament: Peke-A-Poos may or may not do well with children and other pets. The Poodle get along with both, the Pekingese does not. Care: The coat needs to be combed daily and bathed as needed. Training: Peke-A-Poos need firm, consistent training. 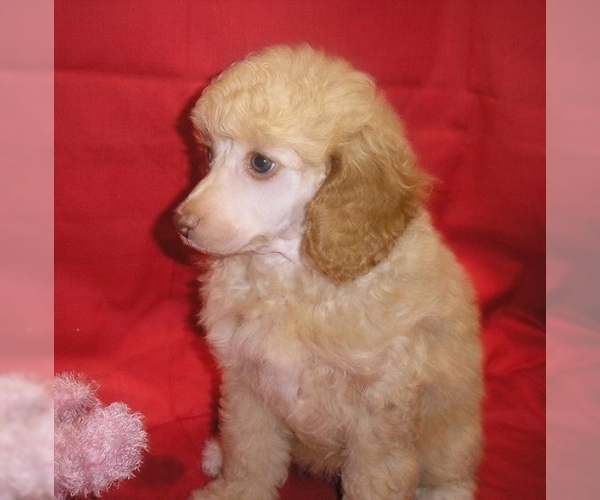 Posted Breed: Poodle (Miniature) / Pekingese / Mixed. 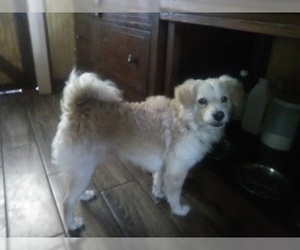 Posted Breed: Pekingese / Poodle (Miniature) / Mixed (medium coat).